Single tail whip is an umbrella term for a whips that terminate at a single point. While single tail can cover a lot of ground with that description, in the fetish community, it often refers to one of three types of whips. Bullwhips are most often associated in the vanilla world with the Indiana Jones movies. These whips consist of a rigid handle, a braided thong, a fall and a cracker. They come in various lengths and the measurement includes only the handle to the end of the braided thong. This is important to understand when ordering a bullwhip. The total length of a six foot bullwhip can actually be closer to eight or nine feet depending on the length of the fall and the cracker. Another great feature of bullwhips is that the cracker and in theory, the fall, can be replaced by the owner; no need to take it to a whip maker or braider to have it fixed. These whips tend to have a more “integrated” construction than bullwhips. They have no rigid handle so they are flexible for the length of the whip. In addition, they differ from bullwhips in that the cracker is braided directly into the tip of the whip. 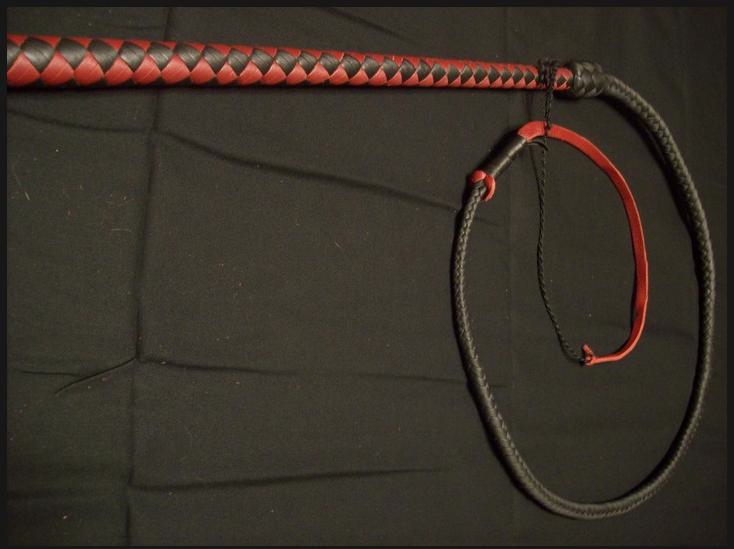 While there are no restrictions or rules about whip lengths, signal whips are traditionally shorter than bullwhips. The signal whips we have made range from as short as two feet in length to five feet in length but can, in theory, be as long as desired. Replacing the cracker on a signal whip does require taking or sending it to someone who is able to rebraid the tip of the whip to add the new cracker. Replacing crackers on a signal whip is seldom required. 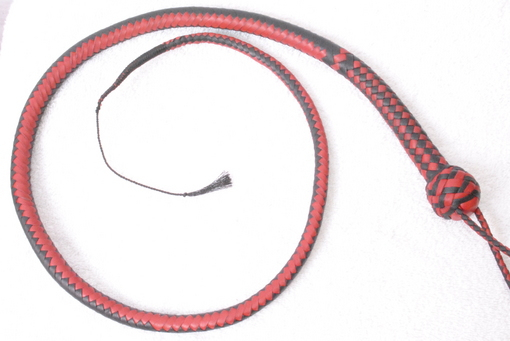 For lack of a better description, snake whips are a hybrid between bullwhips and signal whips. They have no rigid handle so are flexible the entire length of the whip but they do include a fall and a cracker like a bullwhip. Like a bullwhip, they are measured by the braided portion so a 3 foot snake whip may actually be be closer to five feet in length.